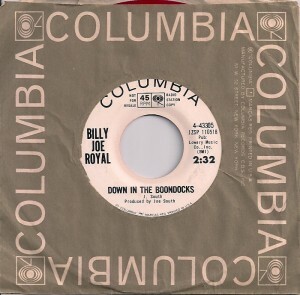 Statistics: Billy Joe Royal had a dozen charting singles during the 60′s. Basically, every single he released either hit the Billboard Hot 100 or Bubbling Under chart. Three of them peaked at #117 even. That Bubbling Under The Hot 100 chart is heaven. I do love those singles that lived their lives strictly between #101 and #135, ultimately became many of the greats in hindsight, too good for the mainstream. 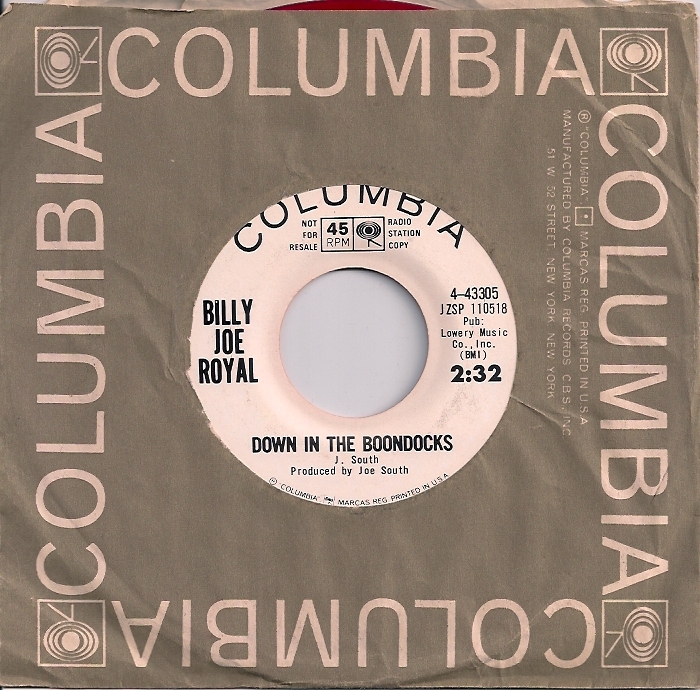 ‘Down In The Boondocks’ fit perfectly with the swimming in echo, British Invasion stuff from around ’65, when it peaked at #9. Written and produced by Joe South, as was ‘Hush’, a #52 in ’67, who knew then that this guy was behind the curtain for a lot of country passing for pop hits, as Billy Joe Royal was officially categorized. Like Sandy Posey or Friend & Lover. The guy even played guitar on Aretha Franklin’s ‘Chain Of Fools’, something you definitely notice as a signature part of that song, as well on Bob Dylan’s BLONDE ON BLONDE. Now there’s a piece of trivia I don’t hear mentioned often. It’s well known that Aretha Franklin and her family’s musical beginnings were in Gospel. 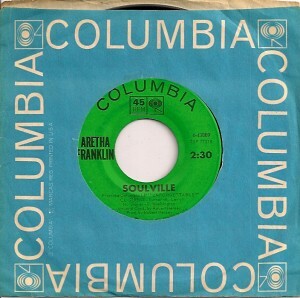 Yet in early 1960, she signed with John Hammond at Coumbia, a historically well respected A&R executive, but oddly a musical mismatch for Aretha. Despite initially scoring a few semi-hits on the Billboard Pop and RnB Singles charts, those initial results began a slow downward spiral of misjudged A&R song choices, bland jazz leaning arrangements, tiringly safe, and quite frankly, dull results. However, by the end of ’66, with little commercial success in those six years with Columbia, they threw her on the scrapheap, a policy that insensitively continued and in fact grew exponentially during my time there. As the story goes, desperate for a sound of her own, she signed with Atlantic Records to work with producer Jerry Wexler. 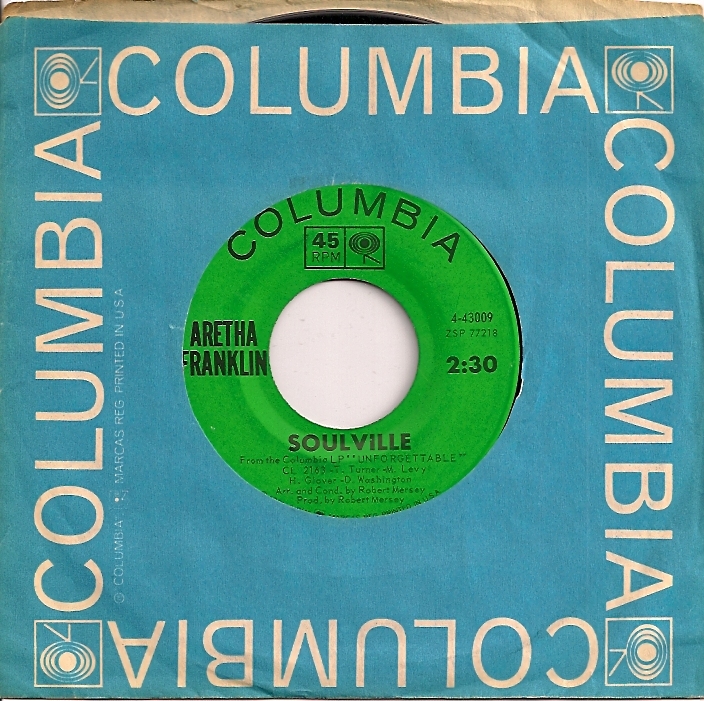 By ’67, Aretha Franklin issued her first Atlantic single, ‘I Never Loved a Man (The Way I Love You)’, a blues ballad that eliminated the safe musical stench Columbia forced her way, and introduced listeners to her original Gospel influences. Recorded in Muscle Shoals, Alabama, and produced by Wexler, the song became her true breakthrough single, reaching the Hot 100 Top 10 and holding the #1 spot for seven weeks on Billboard’s R&B Singles chart. 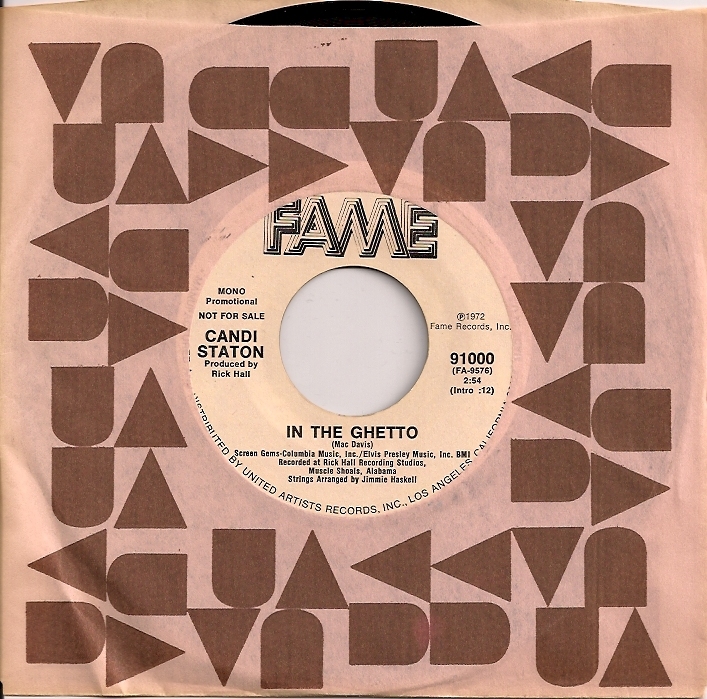 In fact, the B-side, “Do Right Woman, Do Right Man”, charted on the R&B side as well, and again introduced a more Gospel element to Franklin’s developing sound. It also set a pattern for ballady bluesy B sides ahead. 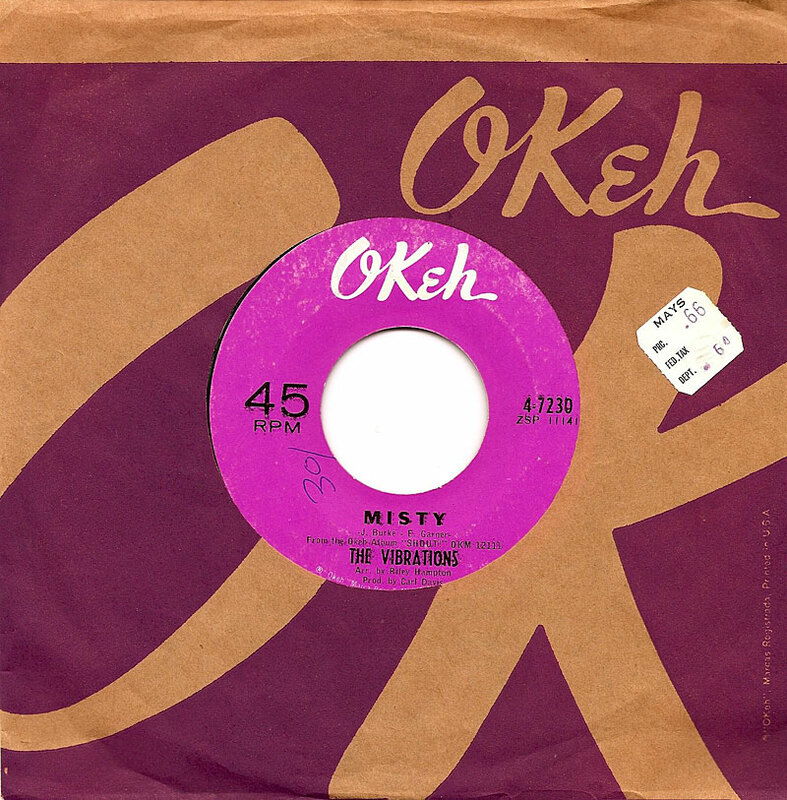 Her next single, ‘Respect’, written and originally recorded by Otis Redding, instantly became her signature tune for life, reaching #1 on both the RnB and Pop chartsâ€”holding the top spot on the former for a then record eight weeks. 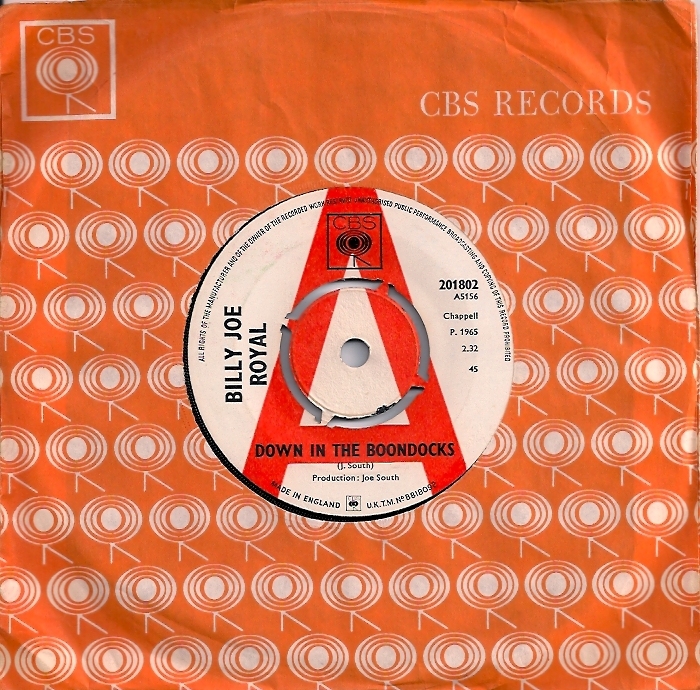 In the next eighteen months, she released a number of singles we all know and love: ‘Baby I Love You’, ‘Chain of Fools’, ‘Since You’ve Been Gone’, ‘The House That Jack Built’ and ‘Think’, to name the cream of her early successful, now decidedly upbeat run. 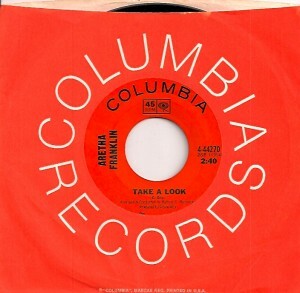 Part of all that fun in the spotlight was, behind the curtain, Columbia’s attempt to ride Atlantic’s successful coat tails by releasing what sure did sound to me like records parallel with her now current sound – from their vaults. Finally, at least, Coumbia was doing some work on her, and doing it pretty well. With just about everyone from the label then now long gone, it’s impossible to ever know if it was astute planning or random desperation. 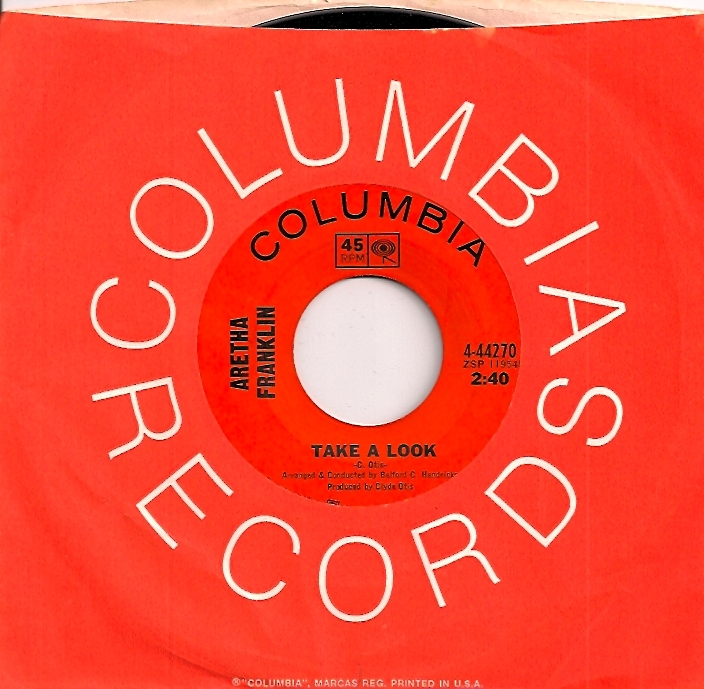 A first of these, ‘Take A Look’, was a good vault find, and to be fair, probably previously released as an LP track. 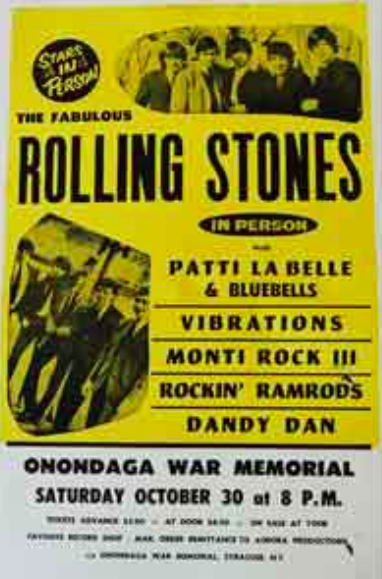 It was during that summer (’67 – read past post on WMCR to understand) when the little local station, WMCR, was in the full-on groove of giving me all their non-easy listening singles during my regular Friday night visits to their studios. And I ended up loving it, as I did “Ain’t No Way’, B side of ‘Since You’ve Been Gone’ – both interestingly recorded and performed in an almost identical style. 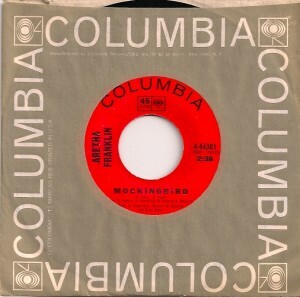 Despite the play to piggy back onto Atlantic’s marketing spend toward making Aretha Franklin a household name, ‘Mockingbird’ was a great choice on Columbia’s part to compete with, yet actually compliment the groove her hits were in. 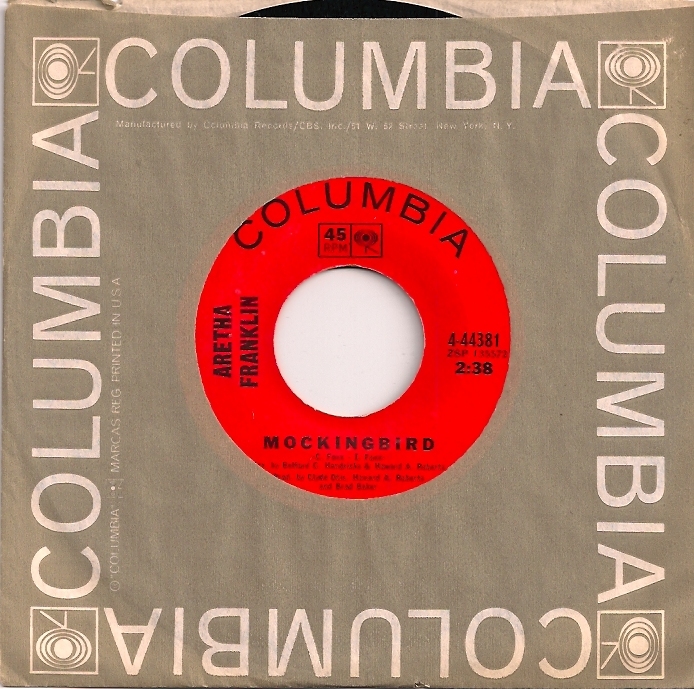 Written by Inez & Charlie Foxx, who had a Top 10 of their own with it in ’63, Aretha shined on ‘Mockingbird’. Had it been released at the time, things may have turned out differently. A great song, it did Carly Simon no harm when she took it to #4 in ’74. This was originally an A side Columbia issue (reaching #121) in ’64, then reissued in ’68, coinciding timewise with ‘Think’, where it dragged it’s way to a tired #83. 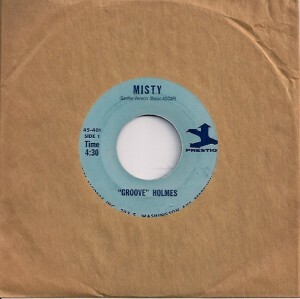 But I admit, I picked up the original as a closeout (it’s pictured above) on it’s title alone. 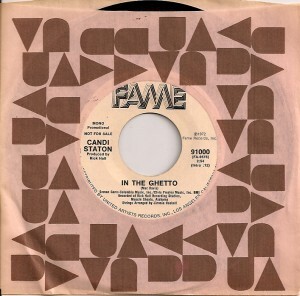 In fact it was to be my first Aretha Franklin single, price: 10Â¢. Although Columbia tried issuing a few more 7′s, none charted and basically they retreated, tail between legs. This one’s from the latest batch of Kent 7′s, released by parent company Ace Records on a regular basis. Roger Armstrong has kept me up to date on these since single number one. They’re all still shelved together as a series – I’ve yet to have the courage of filing them separately like just about every other single I own. 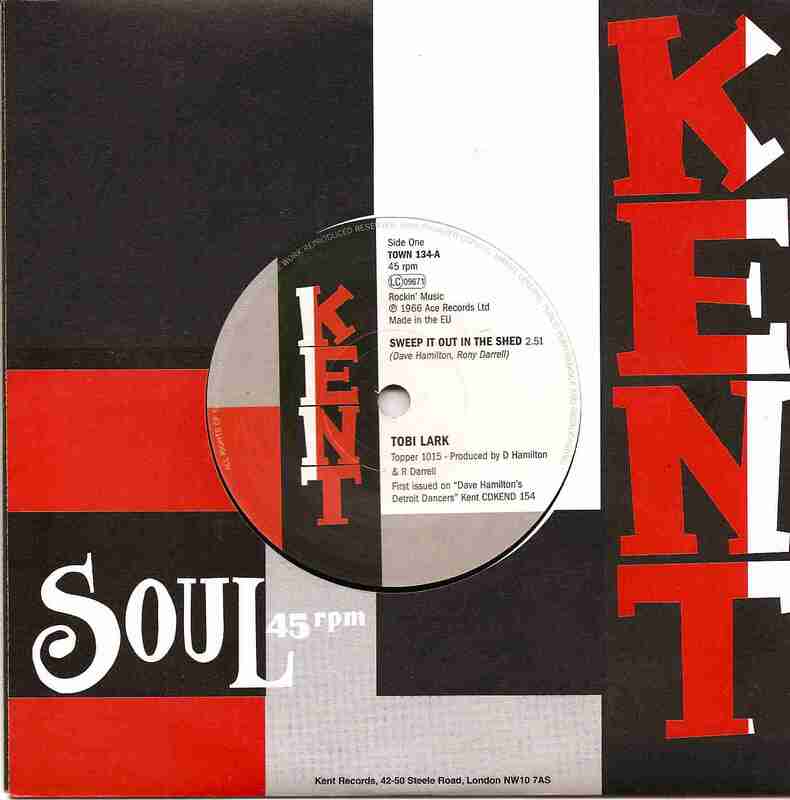 Hey, this is the third Tobi Lark Kent single to date. In the current world, that’s a configuration privilege reserved for superstar artists. Does Beyonce even get three singles on 7? No. ‘Sweep It Out In The Shed’ was a very favorite from the DETROIT DANCERS comp CD, and it’s an absolute joy to have on a single. Not expecting it made for even more fun when I opened the package. It’s the kind of song someone should have found Aretha back in ’66 during her hitless Columbia streak. Or it could have worked just as perfectly being a Muscle Shoals production had Atlantic made the suggestion a year or so later. But to be honest, I’m glad no one did.